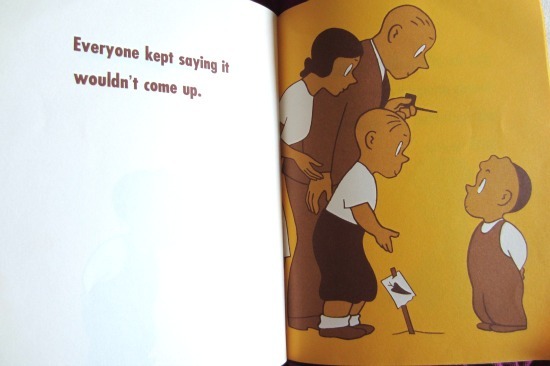 What an amazing children’s book for learning about doing what you believe in and not giving in to other people trying to discourage you! The little boy has an idea. A plan. His family keeps telling him it won’t work out. But every day, he keeps at it. 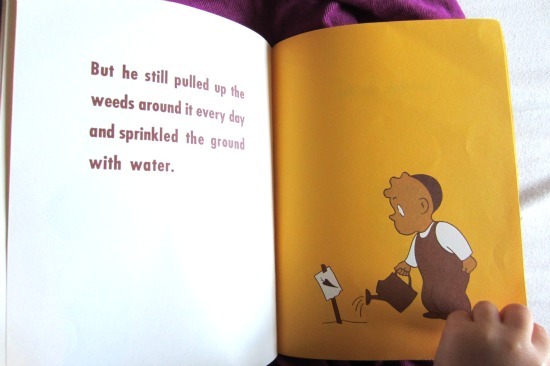 He waters those seeds with determination. And do you know what happens in the end? Should I give it away? Well, the little boy was rewarded with a great result. He got what he believed he would get if he worked for it, and more! 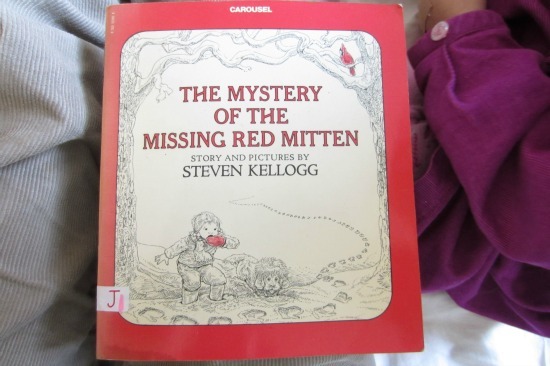 I had this book as a kid. I remember buying it at a library fair. I just had to get it for my own kids! What great lessons for them to learn. 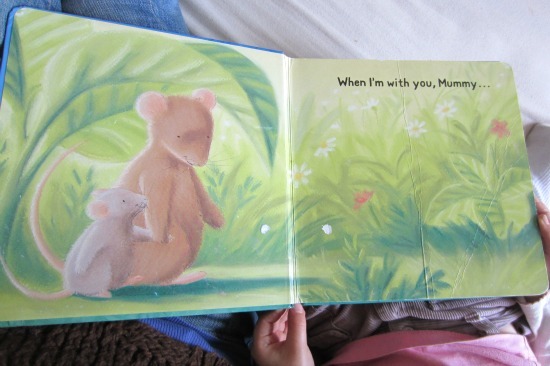 The little mouse tells of the things he likes to do with his mummy and how happy it makes him feel. He feels so safe and confident when he’s with her, and like he could do anything! 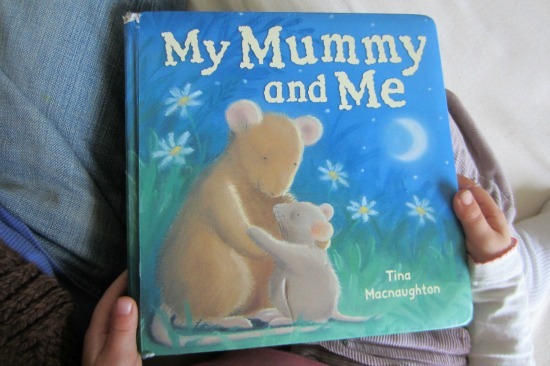 What a sweet book about a mother and child relationship! This is a new book we just got from the library, and it fits in perfectly with the snowy weather that has been going around lately! A little girls is outside playing in the snow, and can’t find her mitten. She thinks of all kinds of places it could be. 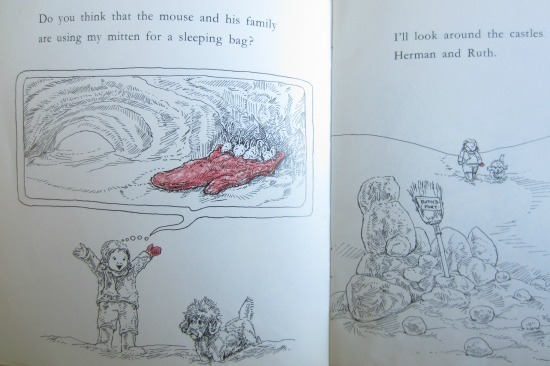 For example, mice using it as a sleeping bag. Then she wonders if maybe she could plant her other mitten and grow a mitten tree. And she could give everyone mittens for Christmas presents! She still can’t find her mitten anywhere, after retracing her steps everywhere she went. 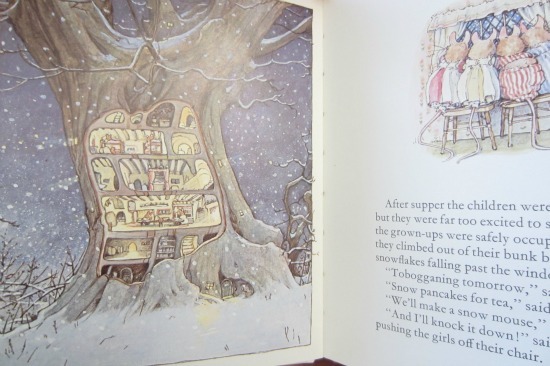 She ends up in the neighbor’s house, and looks out the window at the snowman she made. 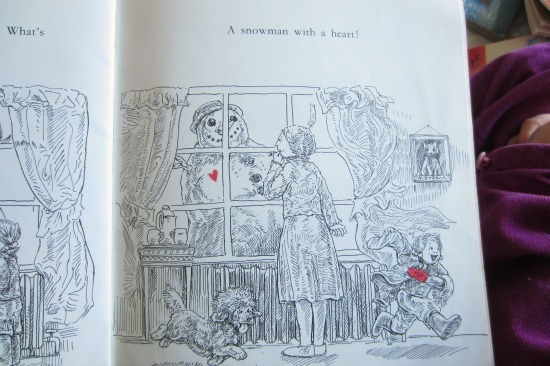 The snowman suddenly has a red heart! Can you guess where her mitten is?! A really cute and different story. I love how it’s all in black and white except for the mittens! I bought this book last year for super cheap at a little library near us. It’s just so adorable and magical! 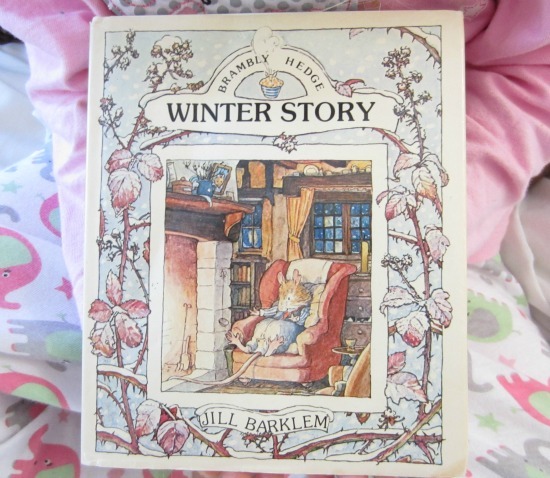 We got it out of our seasonal book storage box at the beginning of winter and lost if a few days later! I was so sad! Finally I found it the other day! 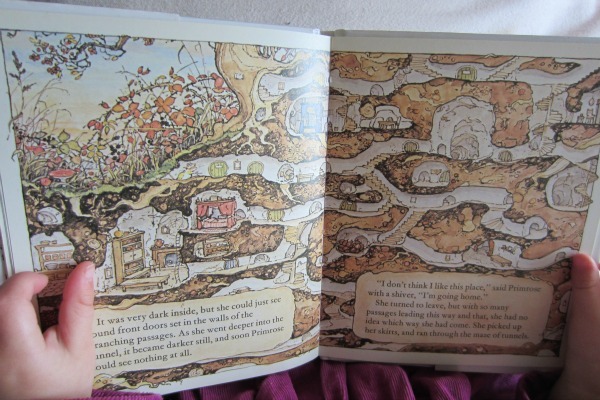 My favorite page is this one at the beginning with all the little lights on in the mouse houses in the trees. 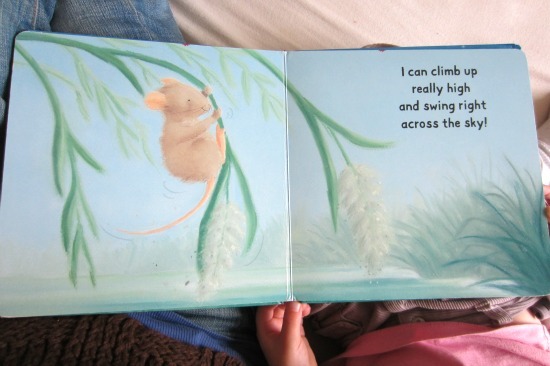 The book tells the story of some mice and a beautiful snow fall. They all get together and decide to have a ball, and make an amazing hall out of ice and snow. 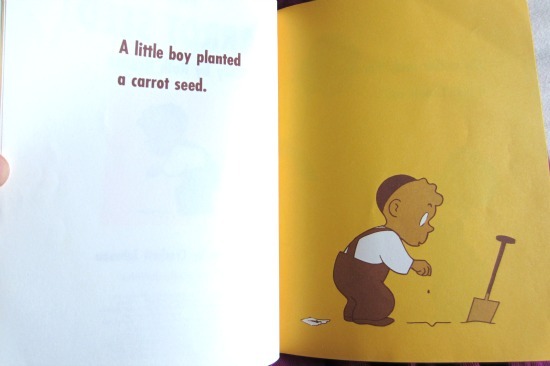 What an adorable book with such detailed illustrations! I just love getting this out in winter time, and I’m so glad I found it! I love the books by Candle Books. 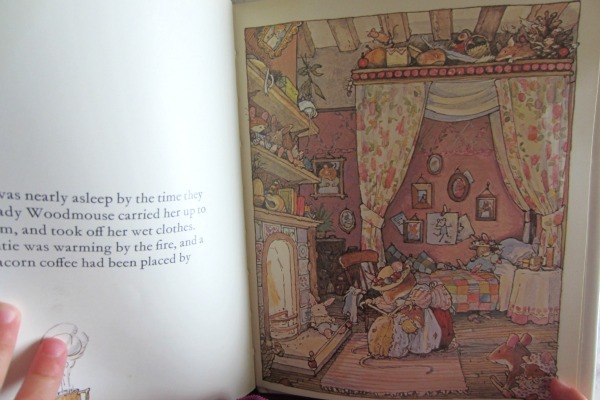 The stories are always written just right, and the illustrations are beautiful. This Christmas story is not an exception. 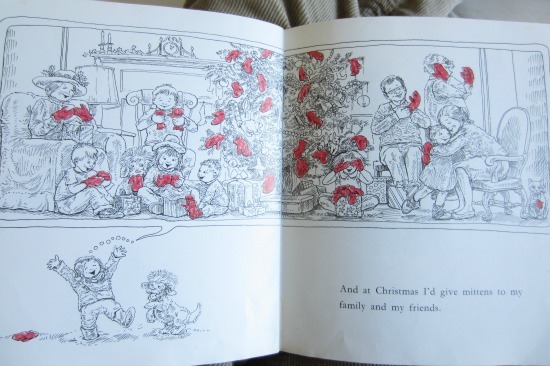 We needed to graduate from the toddler board books we had and find a nice paperback about Christmas, and this one is just perfect. 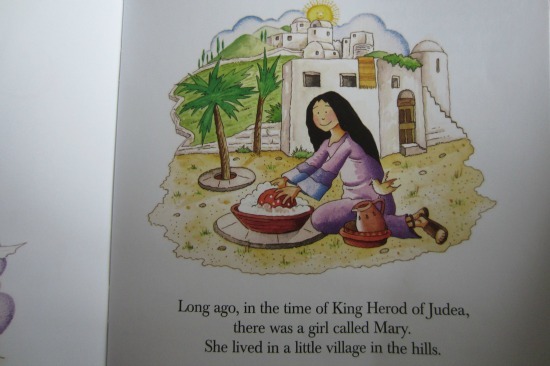 I love how it shows Mary as a regular girl, washing her dishes! 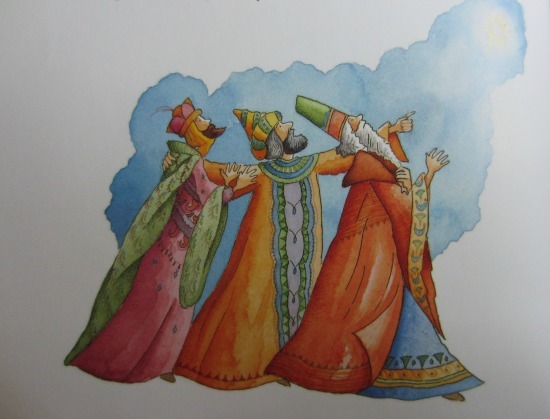 This is such a nice watercolor illustration of the three kings! 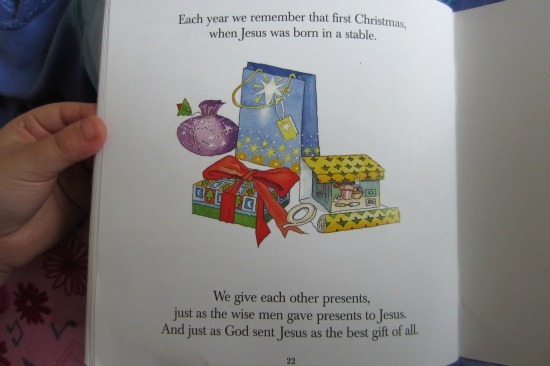 And the last page sums up the story of Christmas! 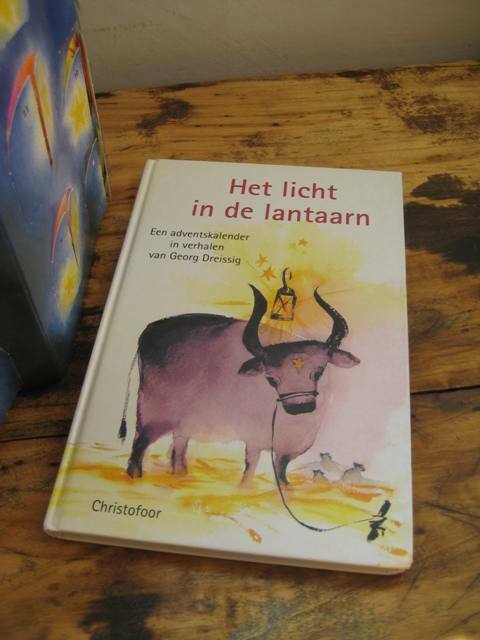 Part of our preparation up to Christmas is to read a daily story from the lovely book ‘The Light in the Lantern’ from Georg Dreissig. Dreissig’s short stories (up to two pages) form an Advent calendar in itself and they commemorate Joseph and Mary’s trip to Bethlehem. The 28 stories have been divided into four weeks and in the stories the challenges and miracles of Mary and Joseph’s journey are addressed. In addition, each week’s stories relate to a common theme. The first week they relate to the mineral world, in week two to the plant world, in week three to the animal world and the final week to the human world. 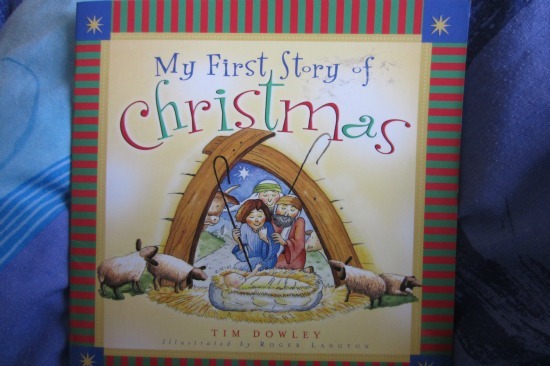 The book does take into account the maximum number of days for the advent time, and thus allows for some years to read multiple stories on a day. 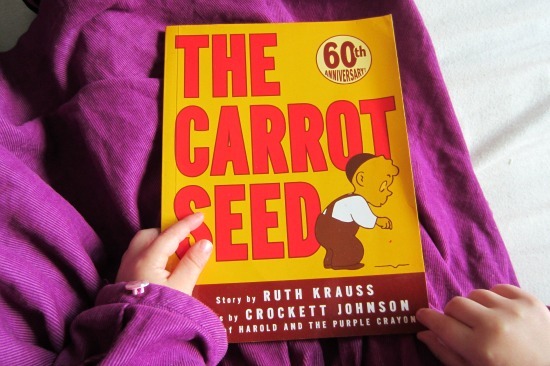 While the stories can be somewhat complicated for the small ones, I read it to all three of my kids at the same time. I managed to get an accompanying calendar to the book, which made it even for the 3 year old a daily adventure to open another window and move closer to Christmas. It is the third year in row now that we (re)use the lantern calendar as well. The lantern calendar has four panels with each seven windows, and a fifth panel with one large window with the depiction of the nativity scene. The beautiful illustrations were made by Cécile Borgogno-Arcmanne. Please note that the front cover depicted is the Dutch language version, the English version has a different illustration. A sample can be found here. What books do you read over the advent time? 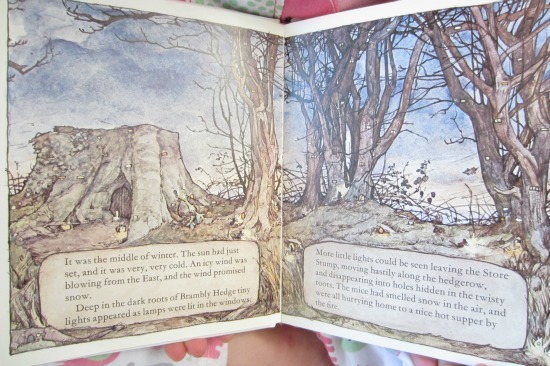 This sweet little book is not only beautiful, with it’s amazing detailed pictures, but educational too. We have a ‘modern’ edition from the library. The original was first published in the 1920’s, but new edition has nice “antique” look to it! 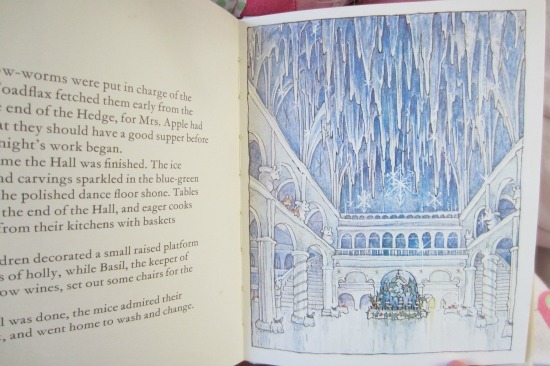 It’s by Cicely Mary Barker, who was home schooled and taught herself to draw and paint. 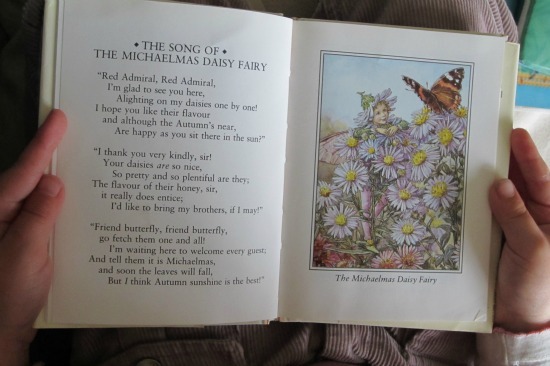 There are 19 different flowers, each with their own fairy and poem. 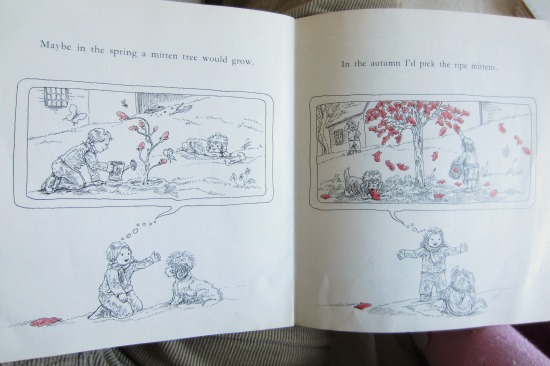 As it says inside the back cover, the author combines her delicate illustrations with ‘meticulous botanical accuracy.’ We use these to identify flowers now, because the pictures are so good! 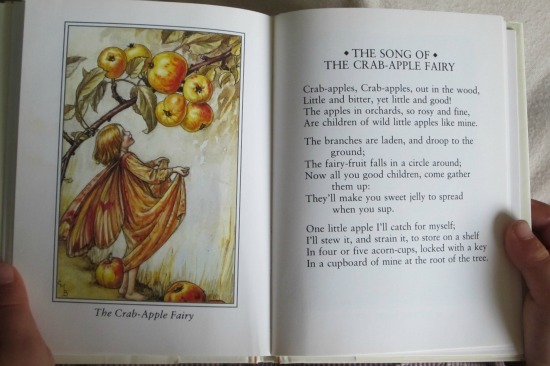 Look at the beautiful little crab apple fairy! 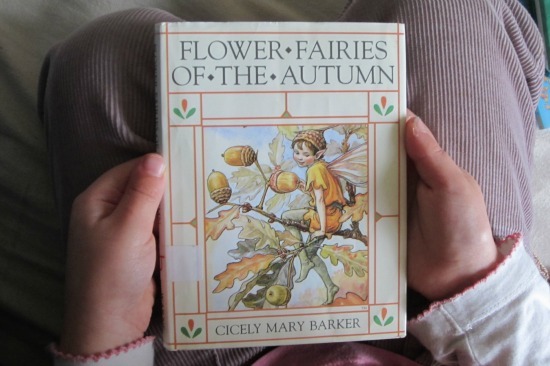 We also use these books to inspire us when drawing, and try our best to draw fairies by looking at these pictures. 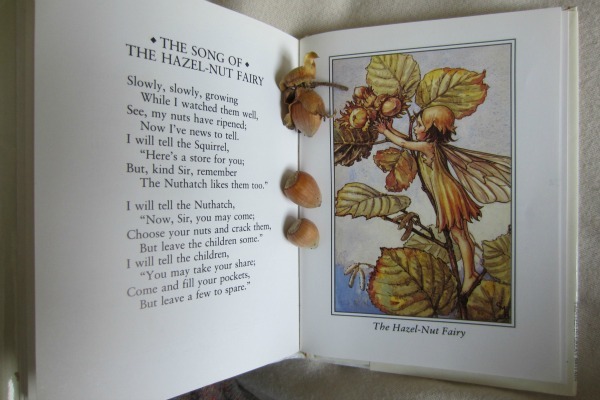 Here is the hazelnut fairy, with some hazelnuts we found outside under a tree on our way home from a walk! 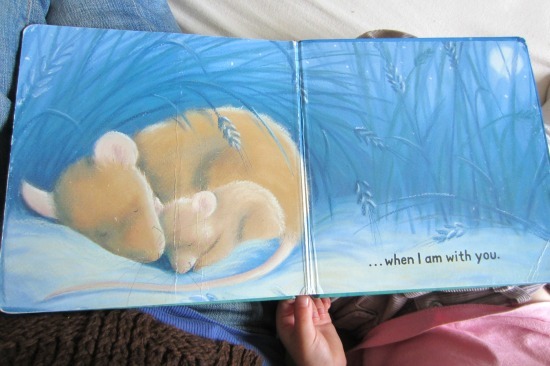 We got this beautiful book called Autumn Story out of the library the other day. 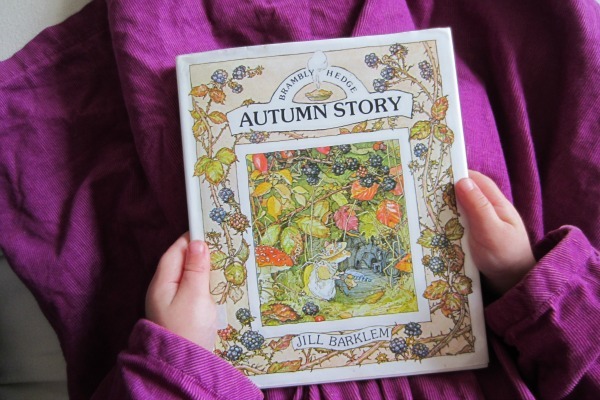 It’s by Jill Barklem and is part of her Bramble Hedge series. The illustrations are just amazing and so detailed! It begins with the mice collecting nuts, berries, and roots for the winter. Soon they realise they can’t find their little girl, Primrose. 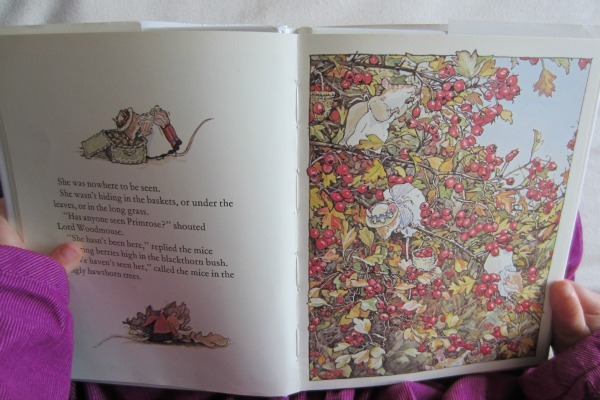 No one has seen her, not even the mice collecting berries in the blackthorn and hawthorn trees. It turns out Primrose was wandering around exploring on her own. She visited some mice high up in a house in a cornfield. They gave her dinner and showed her their family photo albums. Afterwards, she found some tunnels to explore, but got lost. She finally made her way out, and didn’t know how to get home. Soon her family and friends walked by, searching for her, and they were reunited. She was taken home and put into cozy warm pajamas and into bed. What a sweet book! Our new favorite pictures to draw are mouse tunnels and homes under the ground! Finally fall is here, and I am so glad for it. Fall means that we can enjoy baked goods again. After a long hot summer in Colorado where nobody wanted to turn on the stove for fear of adding more heat to our non-airconditioned house we can finally cook and bake again. 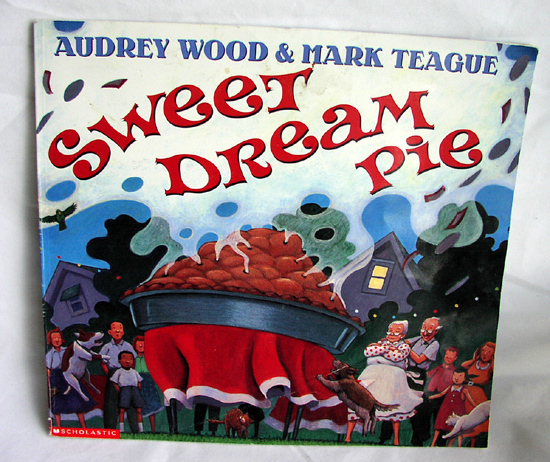 Sweet Dream Pie is the story of an elderly couple who likes to bake magical pies together. They make the biggest, sweetest, and most yummy pies. But it’s been a while since they did because their pies are a bit dangerous. 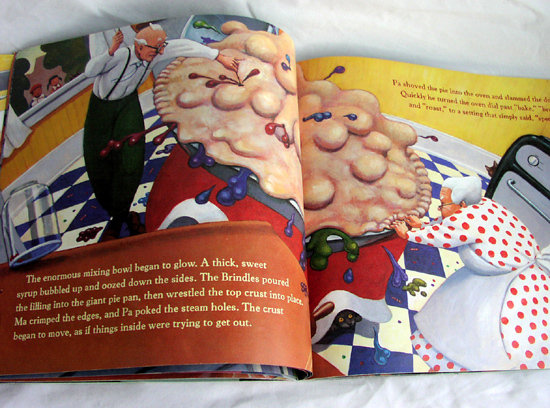 The book starts out with a dire warning about the dangers of overindulging. I don’t want to give away too much of the story. I hope you can find the book at your local library or order it on Amazon. 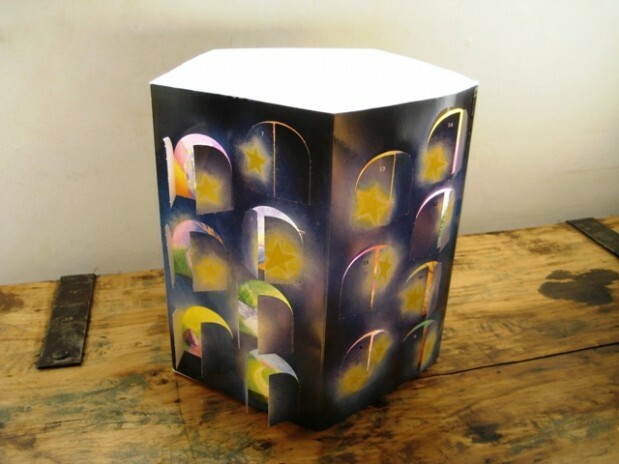 It would make a lovely Christmas gift for the children or grandchildren. The artwork by Mark Teague is quite stunning. I love the brightly colored drawings that defy all rules of perspective and proportion. 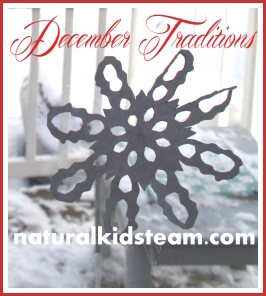 Maybe it will become a favorite in your household too? 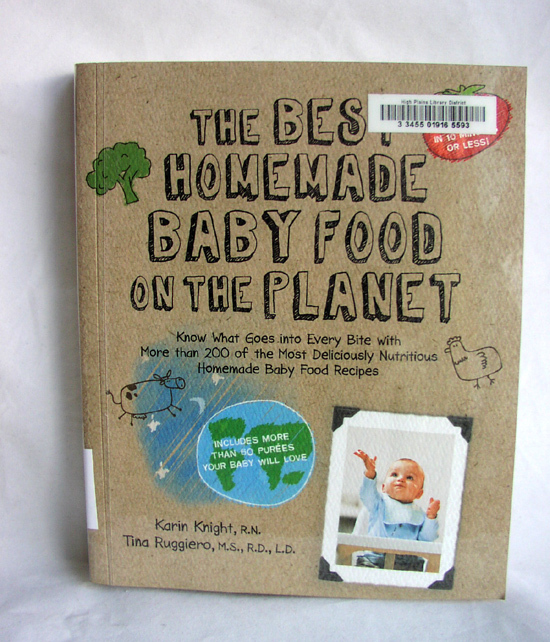 I recently stumbled upon this cute cookbook by Karin Knight and Tina Ruggiero. My kids are all grown up, and I don’t see any more little ones in my future. But I think The Best Homemade Baby Food On the Planet would make a lovely gift to someone who is expecting a baby. 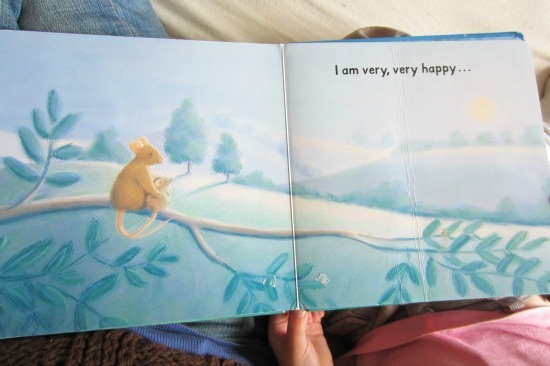 I wish I would have had a book like this when my kids were infants. My husband and I hardly ever bought food in a jar for our babies. I pretty much made everything from scratch because you never know what goes into those commercially packaged jars of baby food. But I surely could have used some inspiration at times when our kids decided that they were going to be difficult and not like our simple cooking. The book is devided into six chapters. It is full of simple recipes that make me hungry. It also provides many great tips and nutritional information for first time parents. Even seasoned parents who are kind of running low on energy and ideas might find some inspiration in it. So check it out at your local library or buy a copy for a friend or parent to be!